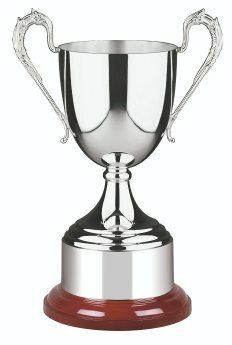 Silvertrophy.com are happy to present this classic golf award which is made from the finest materials and crafted in Britain. 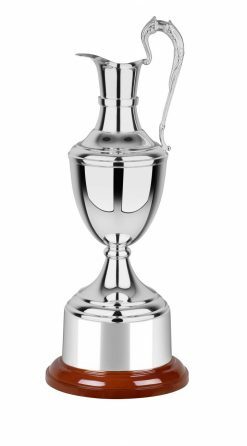 It features exquisitely detailed and heavy guage handles and comes mounted on a rosewood finish base complete with integral plinth bands and a beautiful lid with a golfer figure. It is available in 4 sizes, which measures from the top of the golfer on the lid to the base at the bottom. It would make a perfect centre piece to any display. 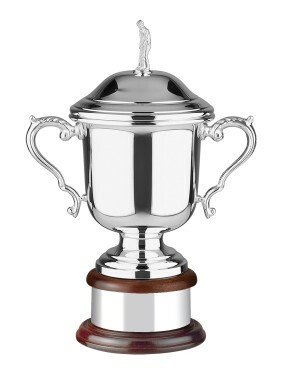 You have 2 areas suitable for engraving, the main body of the trophy and the plinth band.